And then there’s California . 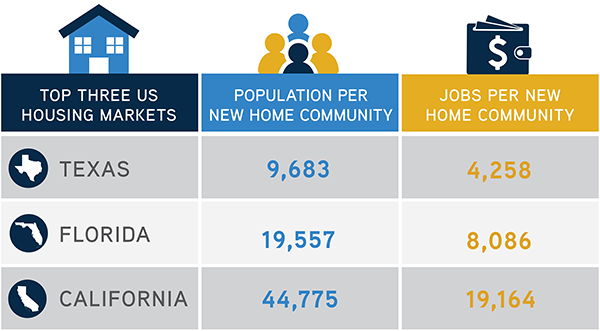 While California is number three in the country for new home construction, it is number one in population. The housing shortage has resulted in home prices that are more than 2.4 times higher in California than in Texas and 2.2 times higher than in Florida. Half of California home buyers pay more than $537,900 per house! 1. Zoning. California has a very lengthy entitlement process. According to our Northern California expert Dean Wehrli , it can easily take eight to ten years or more to get a master-planned community approved for development, and it’s a BIG IF that you will even get approvals , while subdivisions that already have substantial conformance with local zoning laws can take three to five very expensive years. 2. Fees. Most California municipalities require development fees from home builders that add $25,000 to $70,000 in some areas—substantially higher than in Texas and Florida . 3. Environmental compliance. While California arguably has lots of land, wide swaths are off limits or require expensive environmental remediation per state laws, the most notable of which is called CEQA . 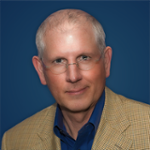 Pete Reeb , Principal, is dedicated to helping our clients optimize their new home development opportunities through the use of great market analytics and interpreting home buying behavior through our Consumer Insights surveys of new home shoppers. Give us a call to learn how you can bring some of these great ideas to your market and what sort of pricing you should expect in your location. If you have any questions, please contact Pete at (858) 281-7216 or by email .